Weintraub, Arlene. 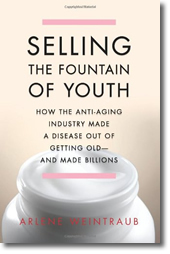 Selling the fountain of youth : how the anti-aging industry made a disease out of getting old, and made billions. 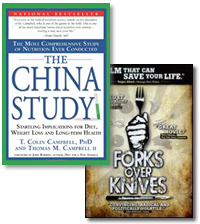 Basic Books, 2010. If taking hormones were dangerous, then all 20 year olds would have cancer. So goes one of the arguments made by promoters of anti-aging clinics in a new book by Bloomberg BusinessWeek science journalist, Arlene Weintraub. To turn back the clock, consumers in this industry devote their whole paychecks to treatments, and follow medical advice dispensed by Hollywood star Suzanne Somers. When their family MD’s balked about prescribing hormones that cause cancer, patients took their business to the new anti-aging clinics instead. From its humble beginnings in the 1990’s to today’s $88 billion industry, author Weintraub takes the reader through the gamut of hopeful treatments, including injections with HGH and Botox, and the more natural dietary supplements, such as elixirs made from acai berries and resveratrol pills, distilled from red wine. 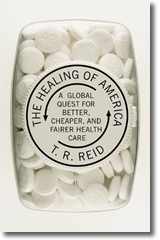 She also discusses the battles between big pharmaceutical companies and independent compounding pharmacists, highlighting the problems in non-regulated drug products. She covers the lies and scams. Weintraub states that anti-aging doctors are acting in good faith to help their patients. But she cautions that sometimes doctors are wrong. Anti-aging treatments have not been scientifically tested in double-blind studies. They may be ineffective or worse, causing harm to the patient. And now for the truly bad news – the only proven route to maintaining a youthful body involves exercise. Frequent workouts, while maintaining a healthy weight, is the only regimen that actually works to keep us young.